This had to be done given the rage going on with the whole scary dolls thing (see trailer of the new "Annabelle II" film coming out). Arguably, these porcelain parademons might actually be soaring ahead of the craze of clowns we've also been seeing, but that's debatable. Personally, dolls don't scare me nearly as much as clowns do, but you know you have those wondering about the soulless eyes of a teletubby or Elmo and wonder if they secretly want to eat you while you're sleeping. Just sayin'. 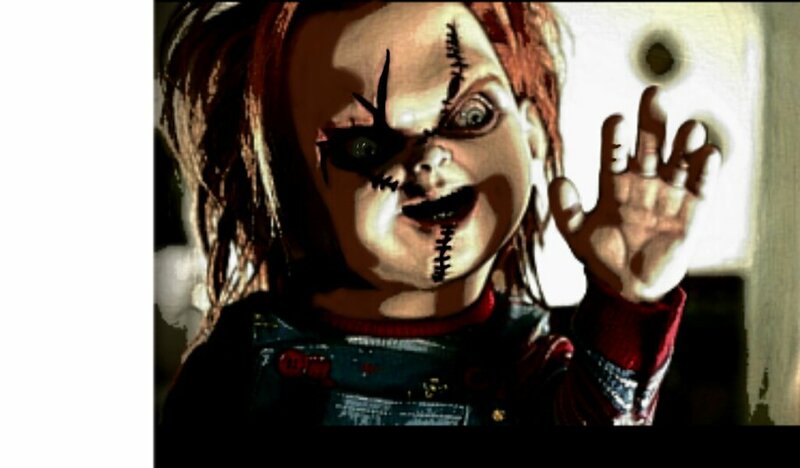 That's Why We Have to Put This List Out on Scary Movie Dolls! But let me be clear here: this isn't a top list of doll movies. No, no, no. For decades we've been saturated by the cheese that is the creepy doll movie, a lot more than many other B and A horror films and literature out there, quite frankly. So I've been very particular about what I'm including on this list. Case in point: this list isn't about the doll movies -- but the dolls themselves. And why they're so damn scary. I think that makes for a more important list, don't you think? So let's get started, in no particular order either (because, honestly, if the doll can kill you, really that's all that matters, and neither doll is better than the other in this list!). I have a soft spot for the "Puppet Master" film series of total cheese and corny horror, because I grew up on this stuff. They were, like, icons of horror, and completely in control of their faculties (Pinhead, Jester, Torch, etc. etc.). Obviously controlled by some black magic, of course, but that still doesn't matter: Blade here would still slit your throat if he was so inclined. 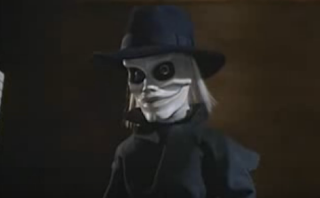 I consider him the top doll of the film series, though, even though Miss Leech was actually a bit creepier with those damn slugs out of her mouth, because Blade certainly carried that air of authority with him. He was the 'leader' of the dolls. And you can stare into those black eyes for hours while he plunges his blade into your heart over -- and over -- and over again. Do I even have to explain why this guy has to be on the list? Arguably, he's more well-known than any of the puppets from our previous entry, but just imagine if this was a reality: a real-life serial killer possessing a doll who wants to play.... Chucky's been killing for ages, man. All other stupid doll movies can go back to the toy chest as far as we're concerned. 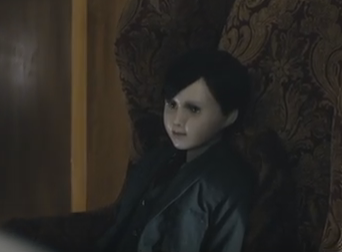 Aside from the fact that this little film recently released, The Boy, utterly bombed for its over-ambition to twist the whole tale of the creepy doll on its head, the fact remains: this is one creepy doll for one strong reason -- behind that doll is one f*cked-up dude hiding away in an old house. Nope. No supernatural stuff here. Even though the doll's not really doing any of the killing, it's sort of the figurehead for the real horror behind all of it, and when it comes to reality here, I'd say that's a winner for one of the scariest dolls in cinema today. Her story's actually based on real events. 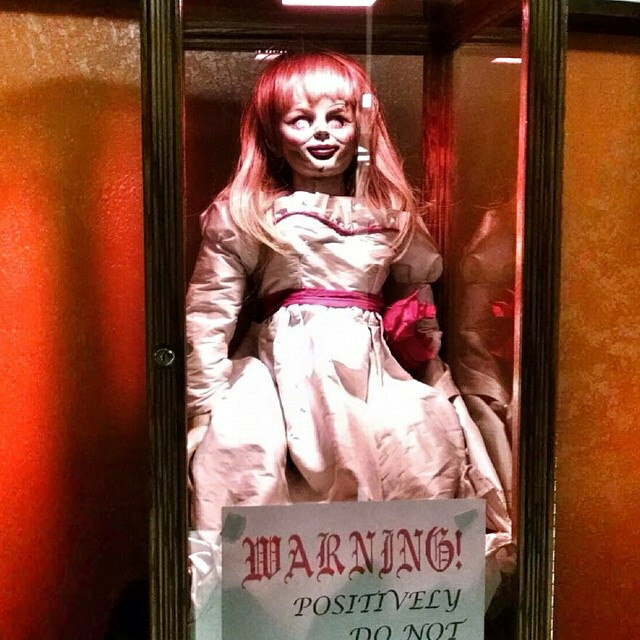 The actual doll called "Annabelle" might actually be haunted. We don't know for sure. We don't know if there's any truth to the incidents associated with the doll. All we know is that everyone's been told to NEVER open up the casing in which this doll is locked. There's a reason for that. Yep. Scary Dolls Are REAL. Honestly, I take it back. I couldn't sleep in a room filled with porcelain dolls all looking at me. It just won't happen. You couldn't even feed a catheter line of liquefied melatonin into my blood stream and be successful in putting me to sleep. Not while those empty eyes keep staring at me.